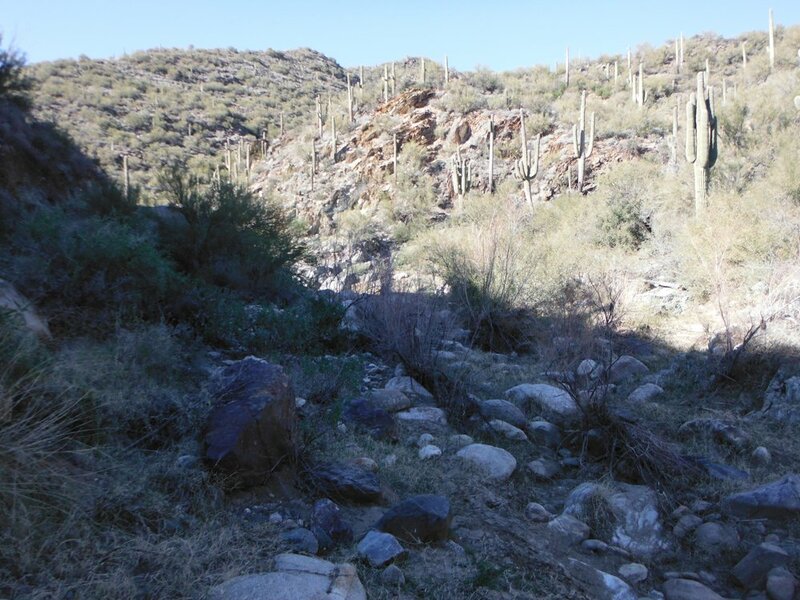 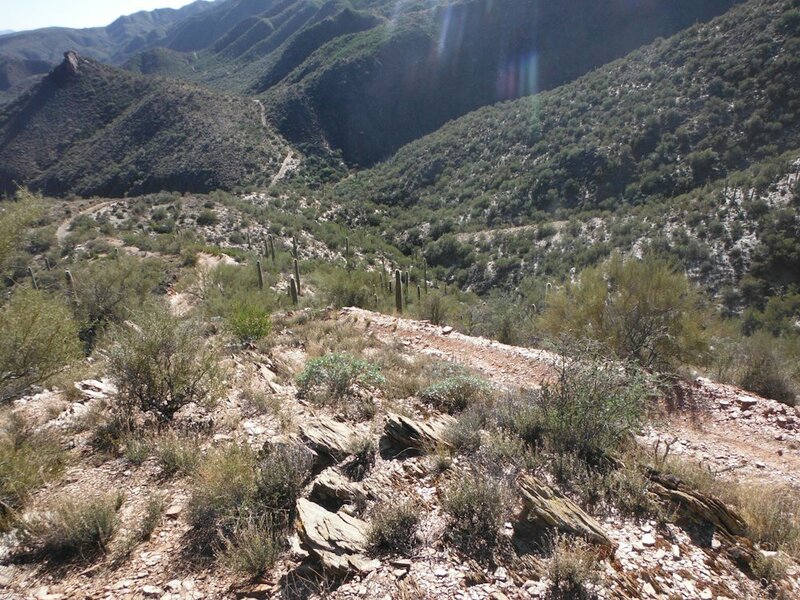 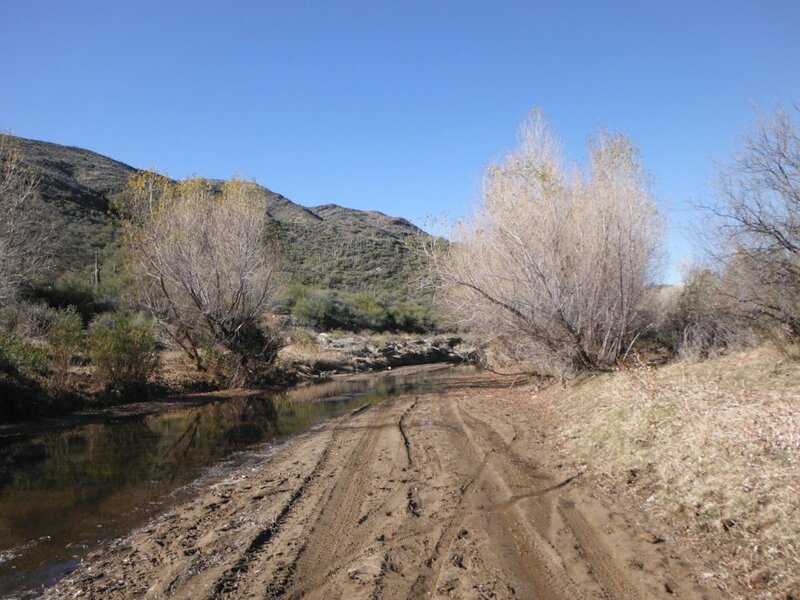 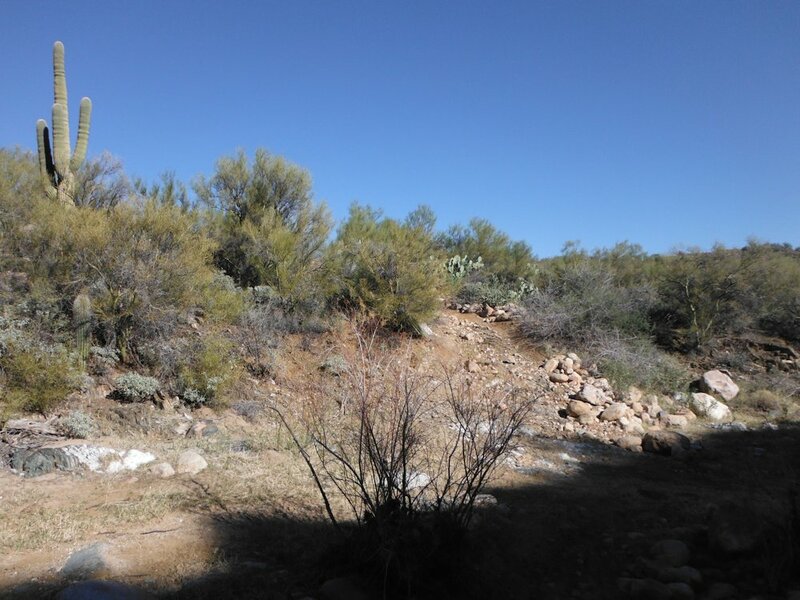 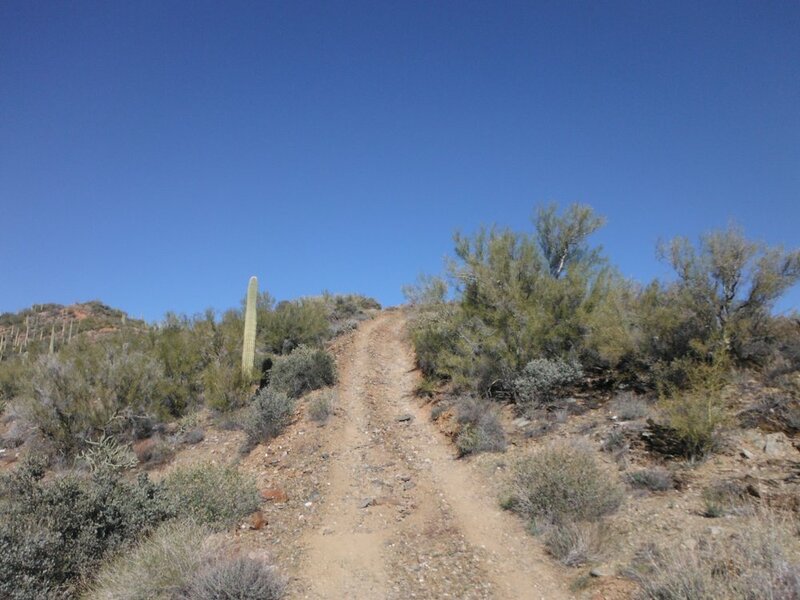 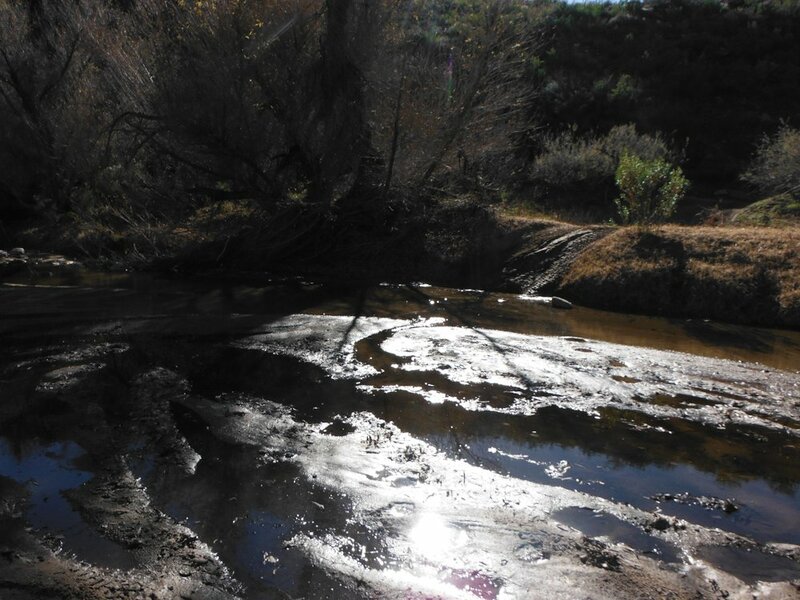 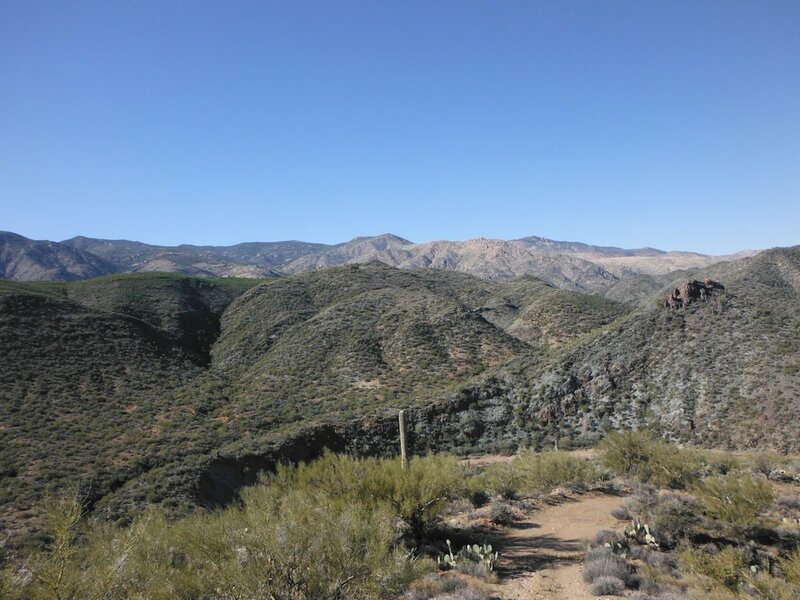 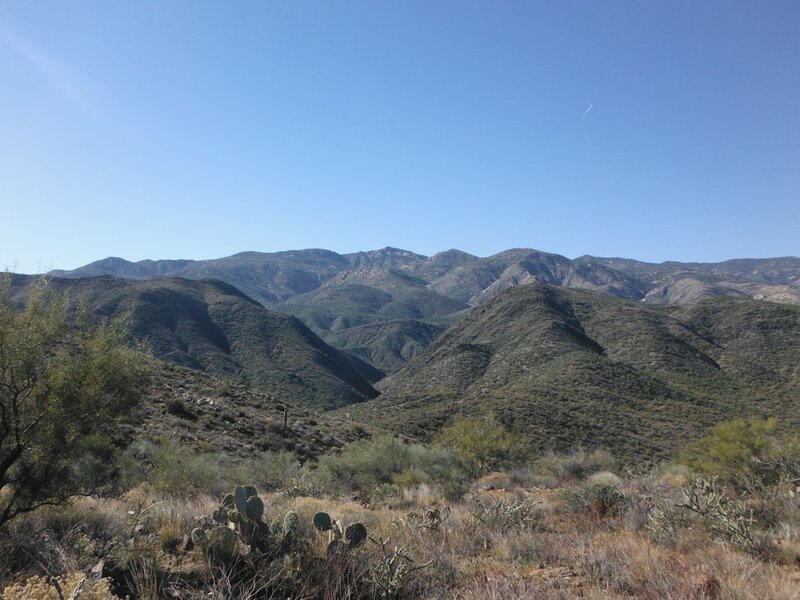 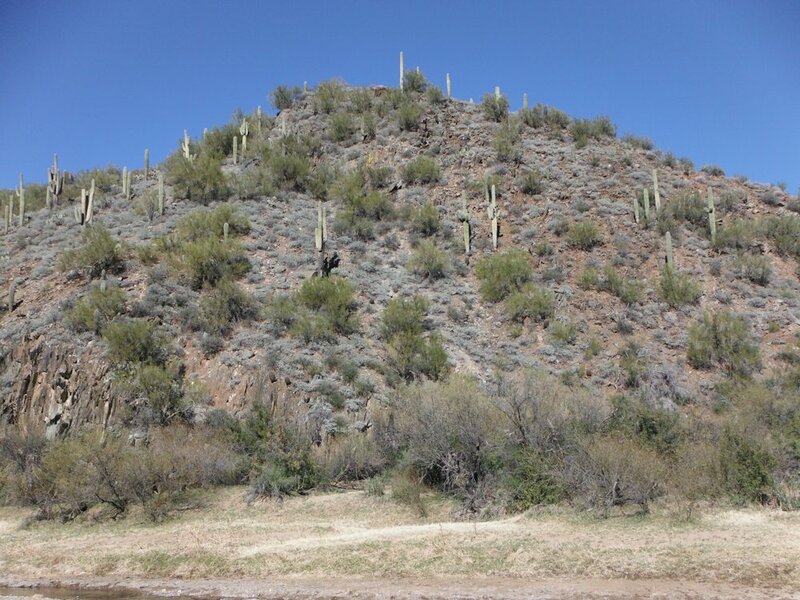 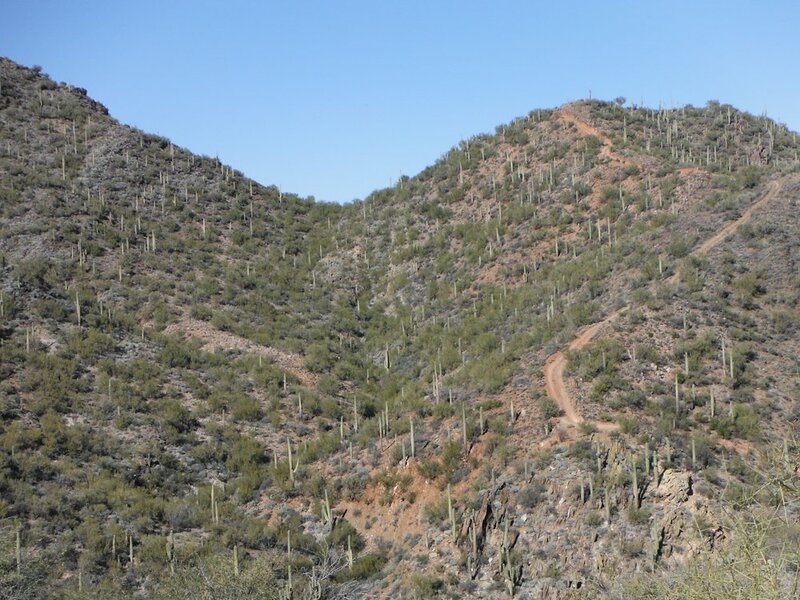 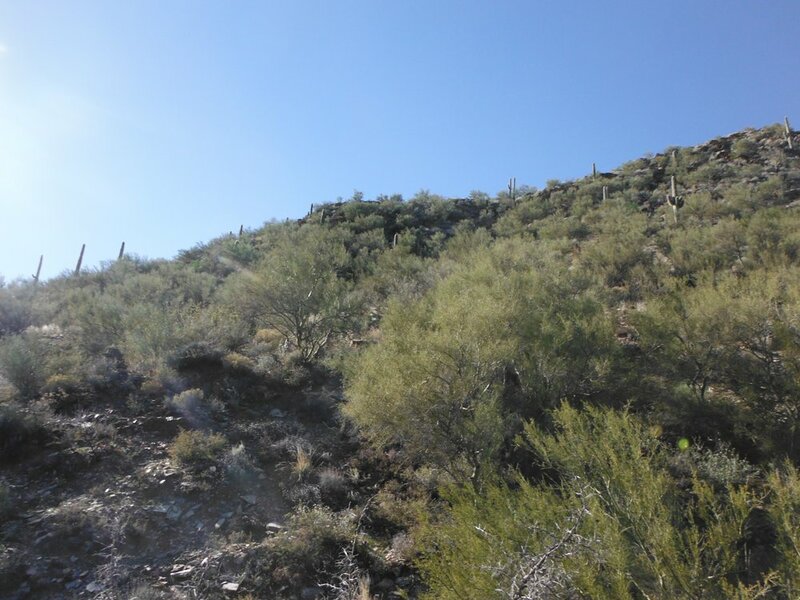 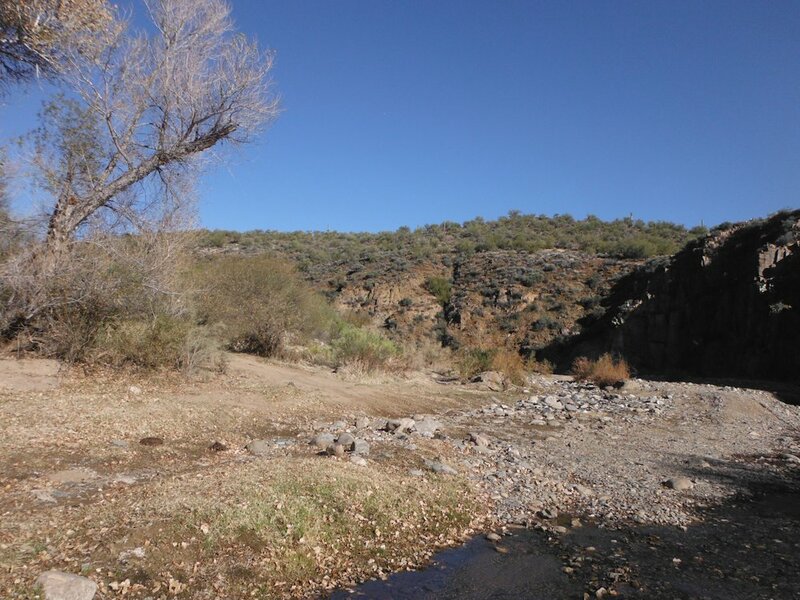 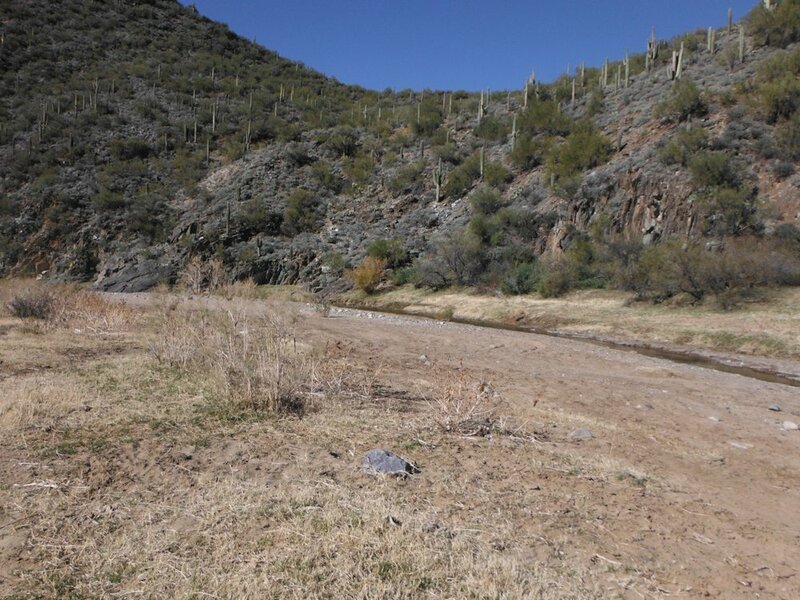 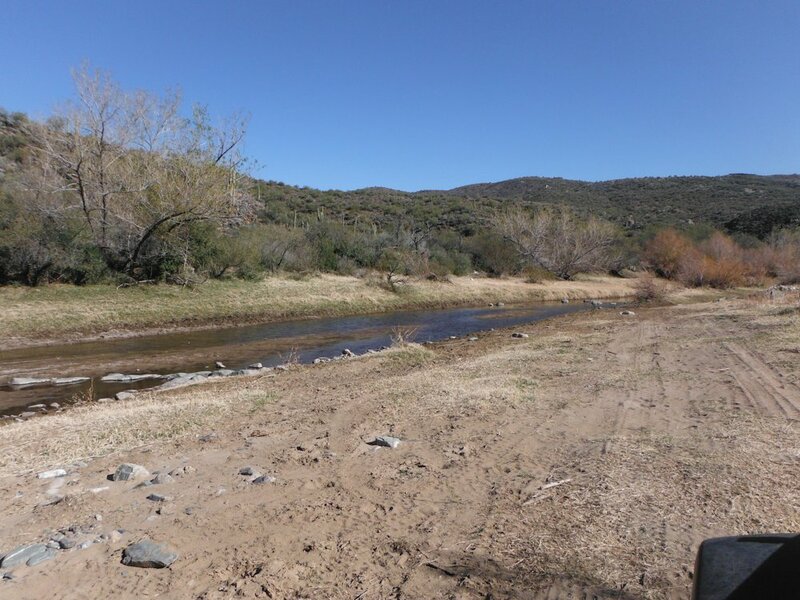 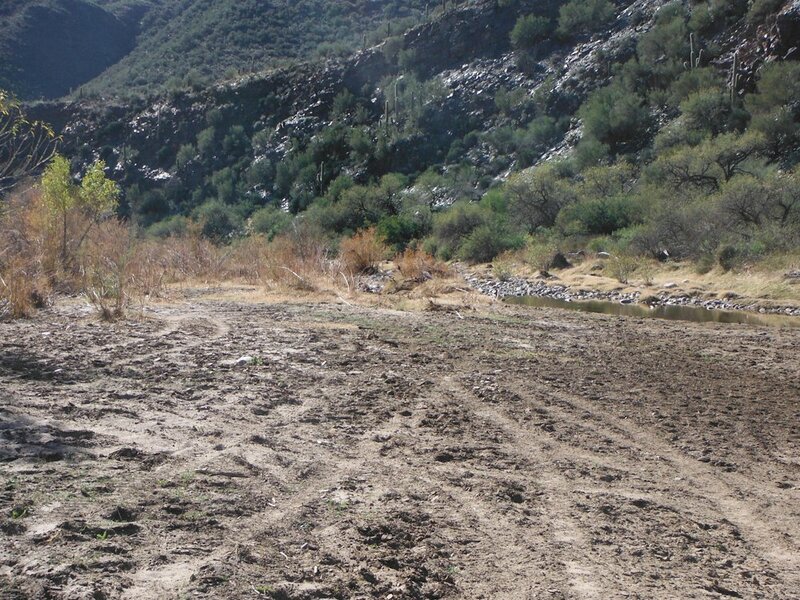 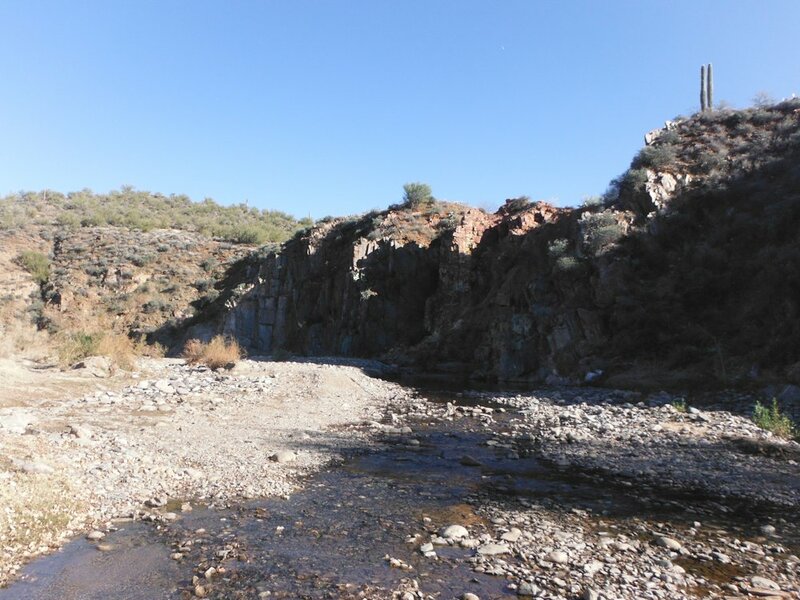 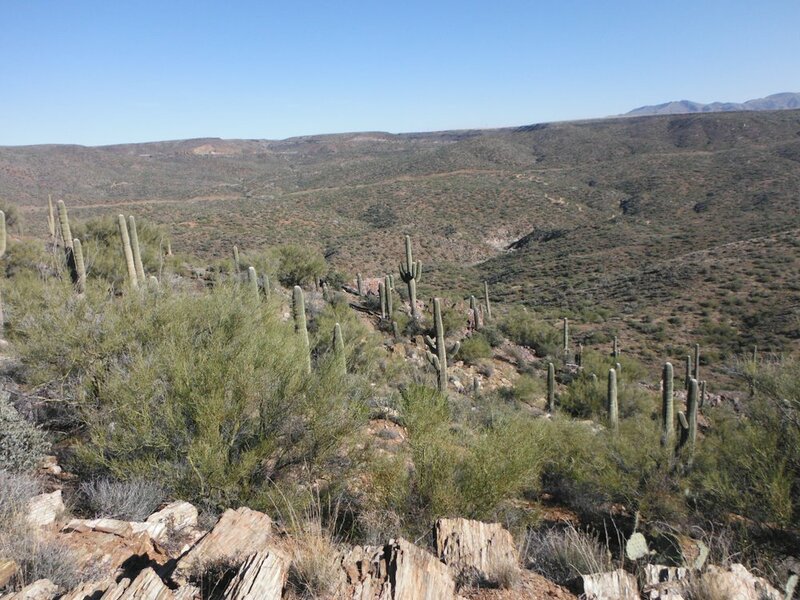 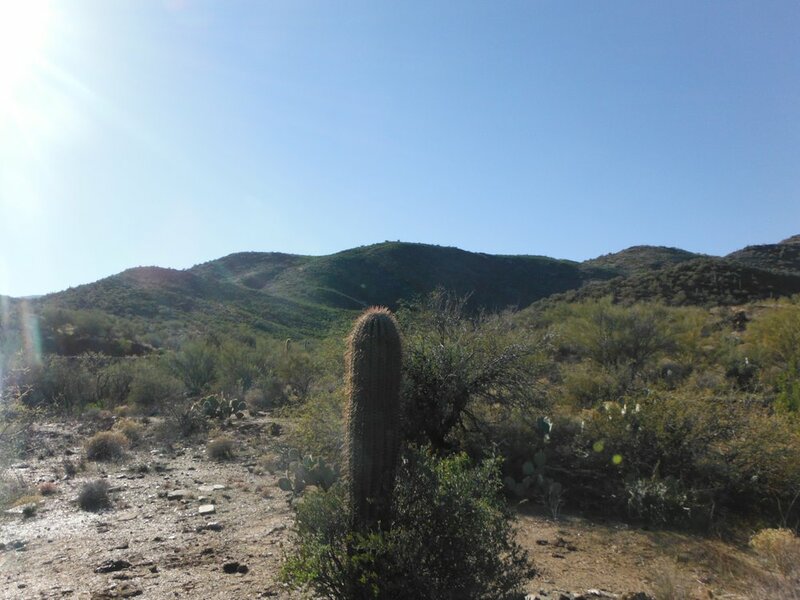 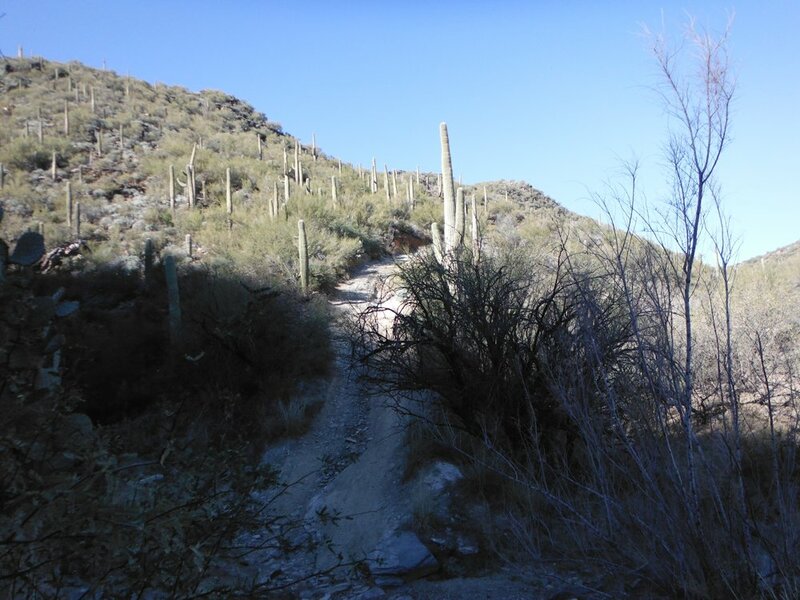 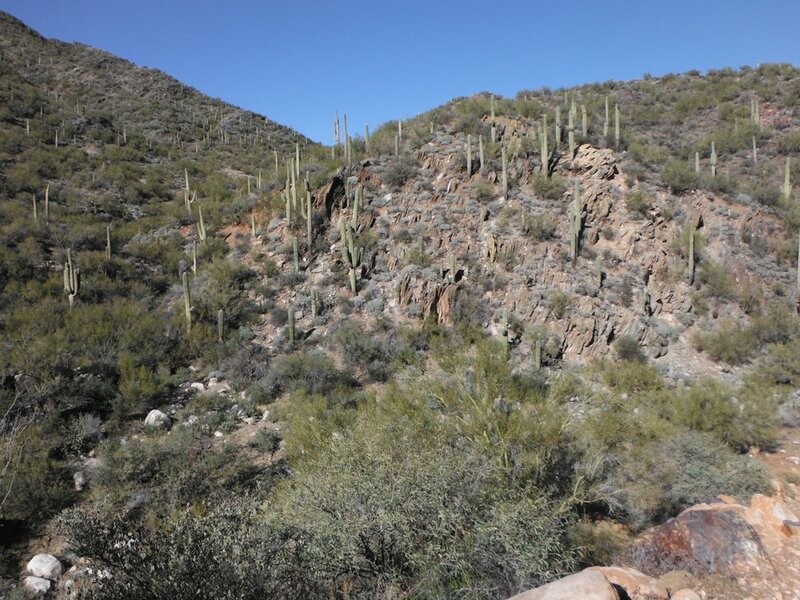 These photos are from a trail in Arizona that’s north of Phoenix on the west side of I-17. 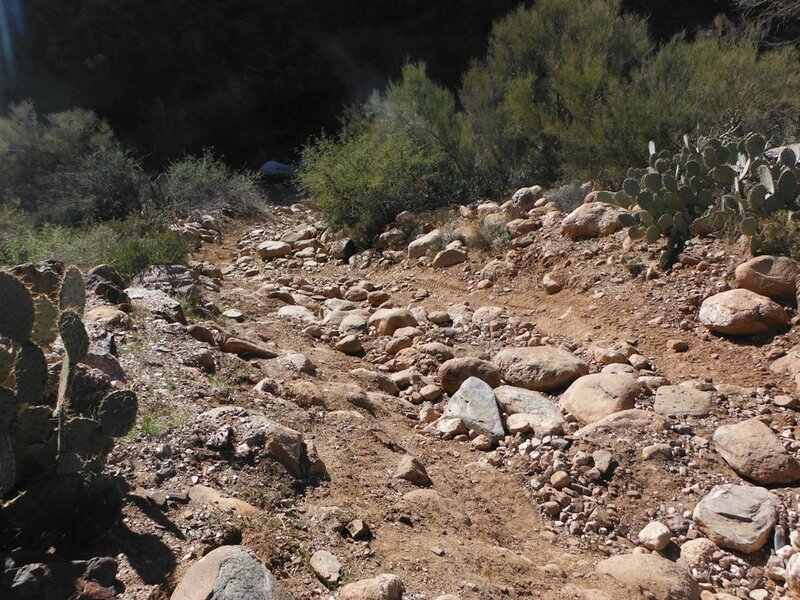 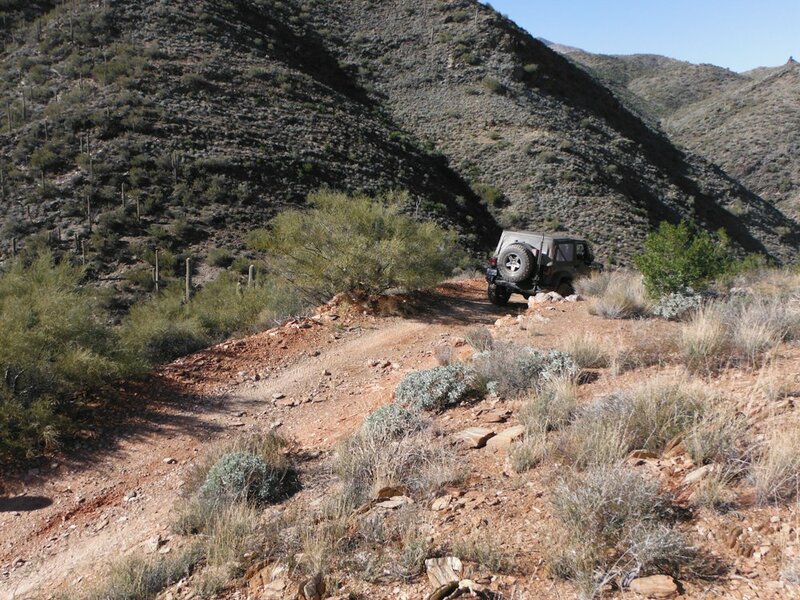 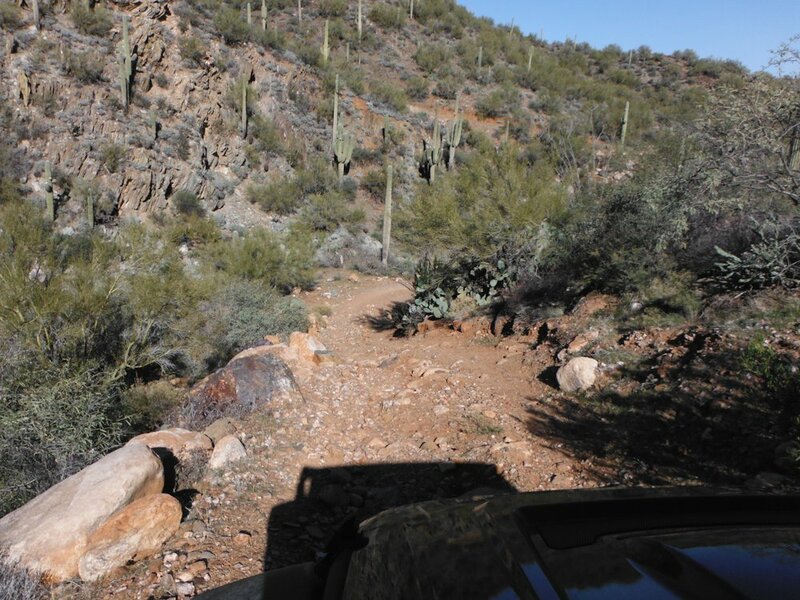 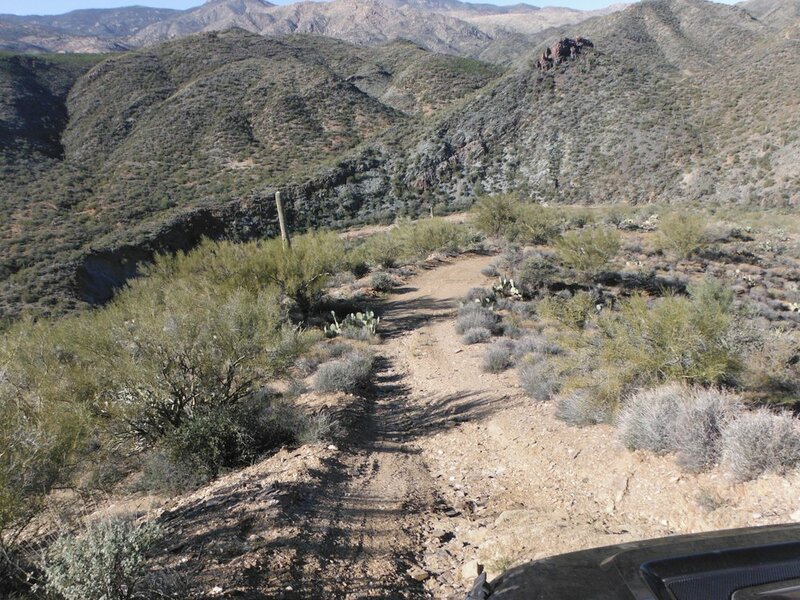 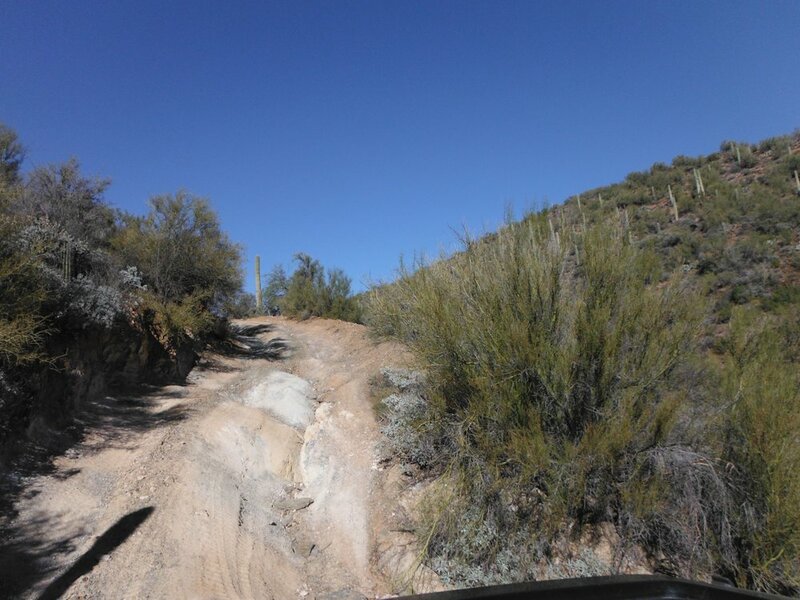 This trail is rocky, steep, difficult, and should only be accomplished by an experienced driver. 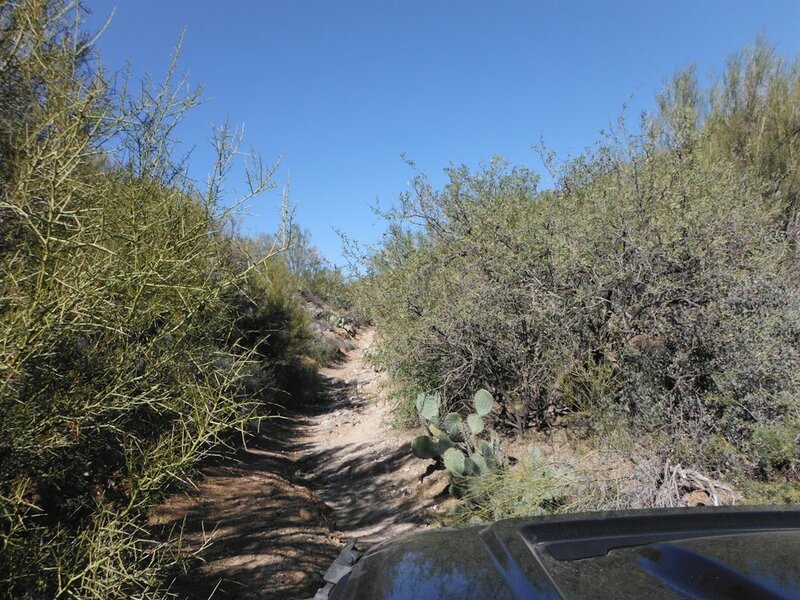 Short-wheelbase vehicles will have an advantage in this terrain. 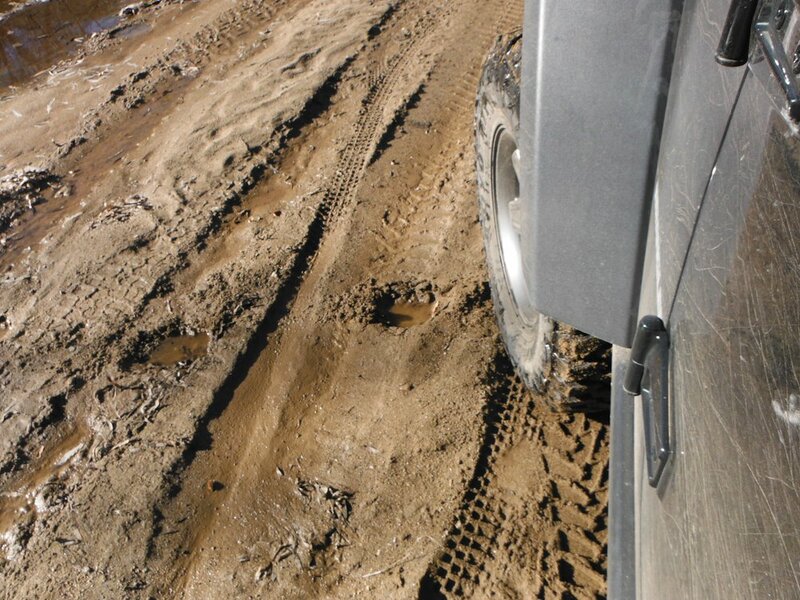 Mistakes can easily lead to rollovers on the more tippy spots. 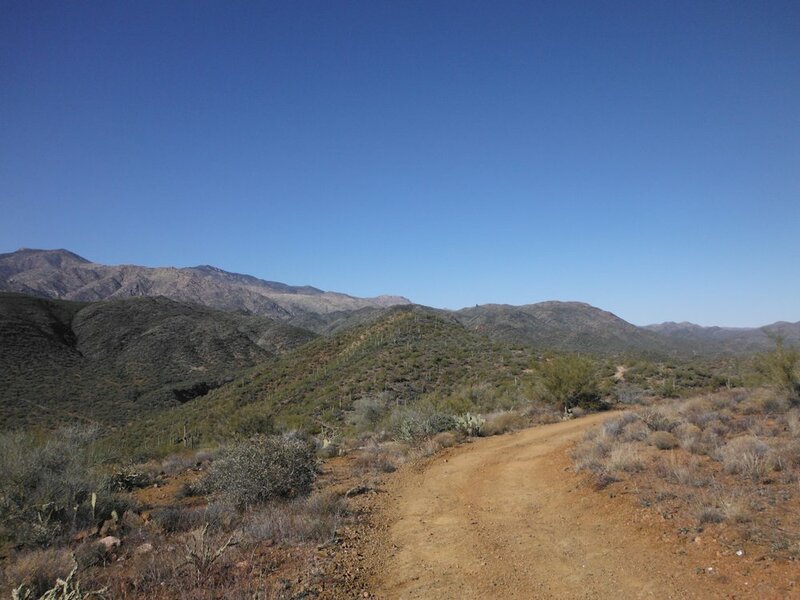 This trail is also a lot of fun, has beautiful scenery, and is one of the better trails I’ve been on. 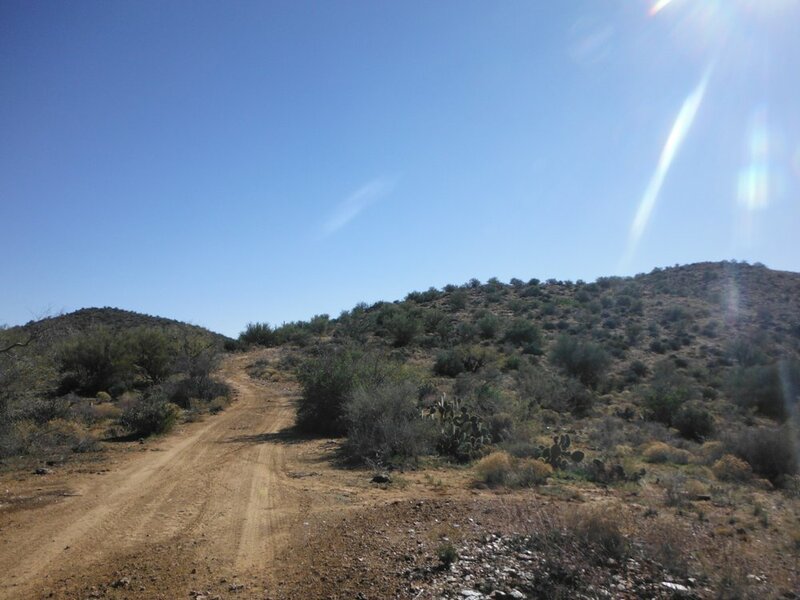 I used I-17 to reach the general area, then took Exit 244, headed north, then west on the trail from Maggie Mine Road, and turned right at the Y-intersection. 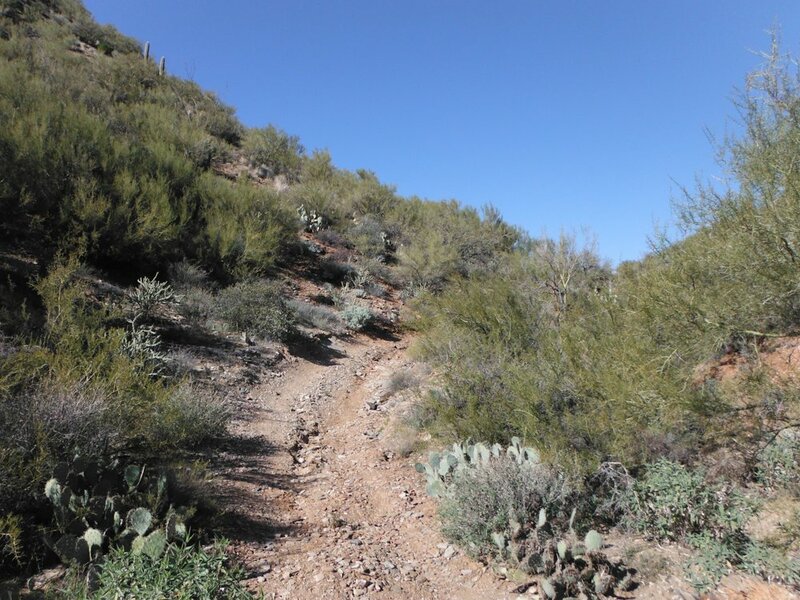 There are numerous ways to reach this trail though. 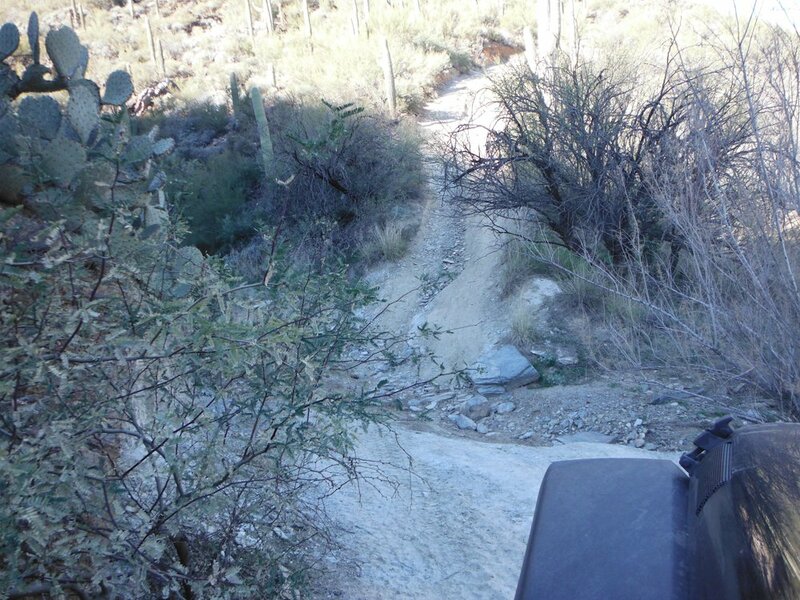 The left turn at the Y-intersection is meant for an ATV or side-by-side. 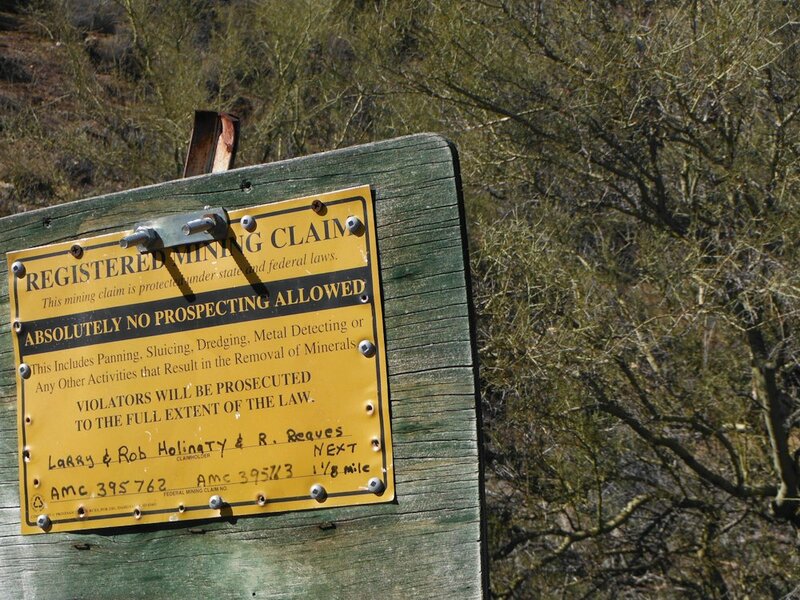 If you pass a mining claim don’t steal from it, just enjoy the scenery. 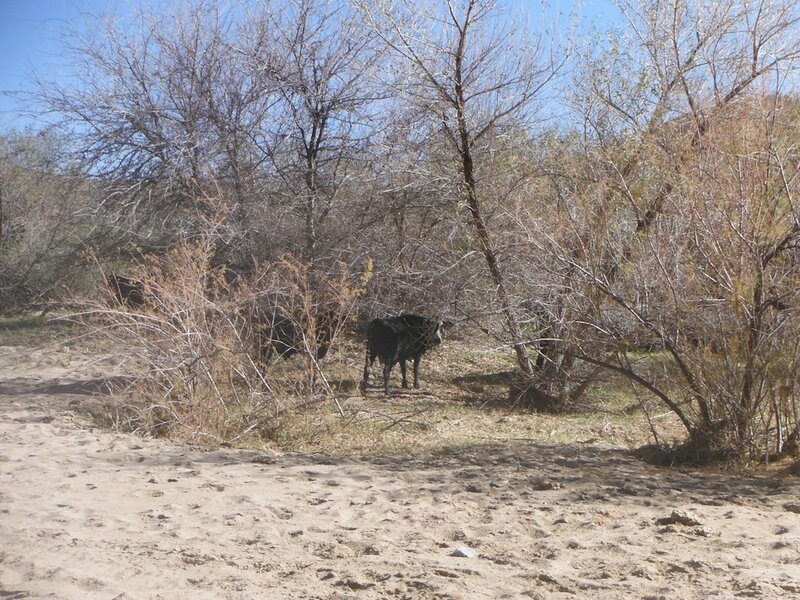 Leave the bovine alone also, there are many ranches in the area. 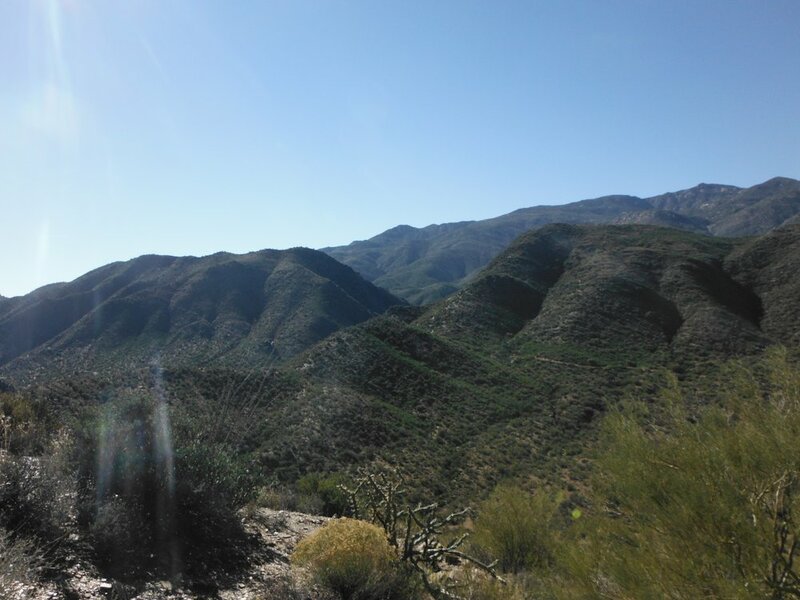 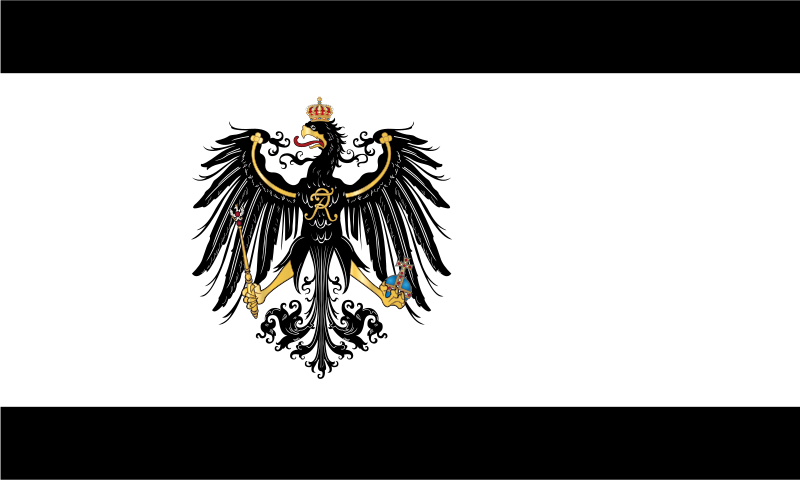 I hope that you like the photos, enjoy!